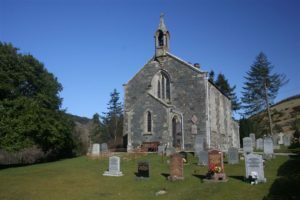 Glenapp Church or as it is known locally “The Glen Kirk” is united with Ballantrae Kirk and is situated in the Glen itself. Originally the Church was for estate workers, nowadays monthly services are held there as well as weddings. Services are held on the first Sunday of the month at 3pm. This a liturgical and ecumenical service led by a dedicated group from the congregation of Ballantrae. If you would like to get married in the church please contact the Minister for more information.